The photograph, taken by the Advanced Camera for Surveys (ACS) shows a tumultuous collision between four galaxies located 1 billion light-years from Earth. The galactic wreckage is creating a torrent of new stars. The tangled-up galaxies, called IRAS 19297-0406, are crammed together in the centre of the picture. IRAS 19297-0406 is part of a class of galaxies known as ultraluminous infrared galaxies (ULIRGs). ULIRGs are considered the progenitors of massive elliptical galaxies. ULIRGs glow fiercely in infrared light and appear 100 times brighter than our Milky Way Galaxy. The large amount of dust in these galaxies is generated by a firestorm of star birth triggered by the collisions. IRAS 19297-0406 is producing about 200 new Sun-like stars every year - about 100 times more stars than our Milky Way creates. 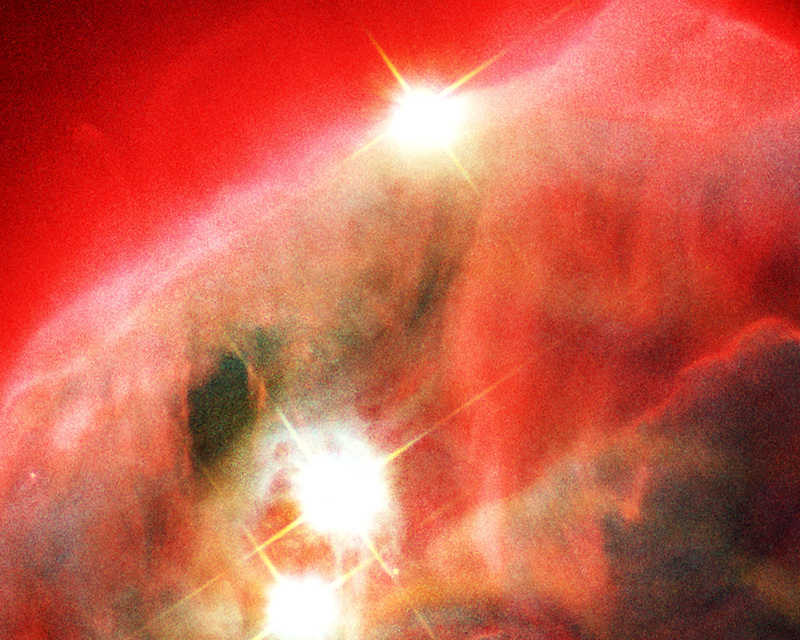 The hotbed of this star formation is the central region [the yellow objects]. This area is swamped in the dust created by the flurry of star formation. 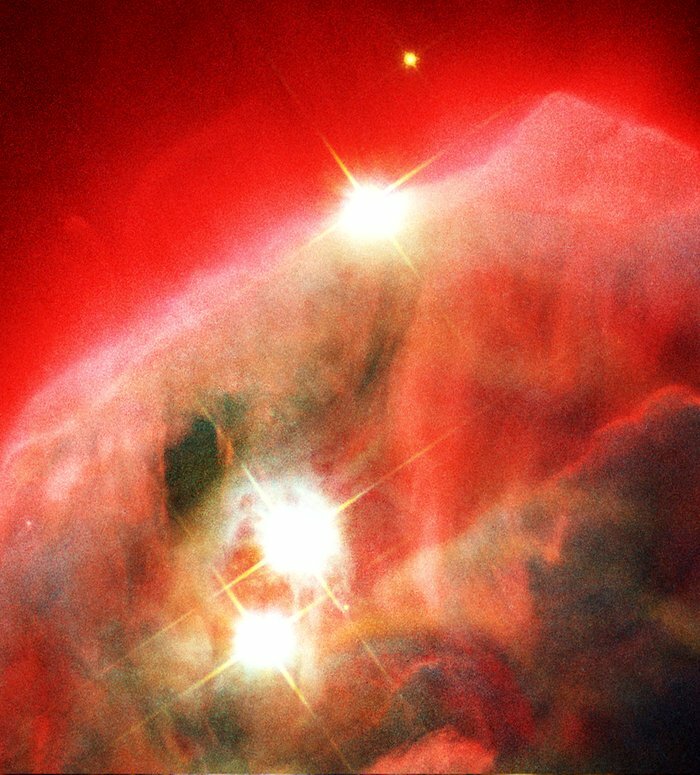 The bright blue material surrounding the central region corresponds to the ultraviolet glow of new stars. The ultraviolet light is not obscured by dust. 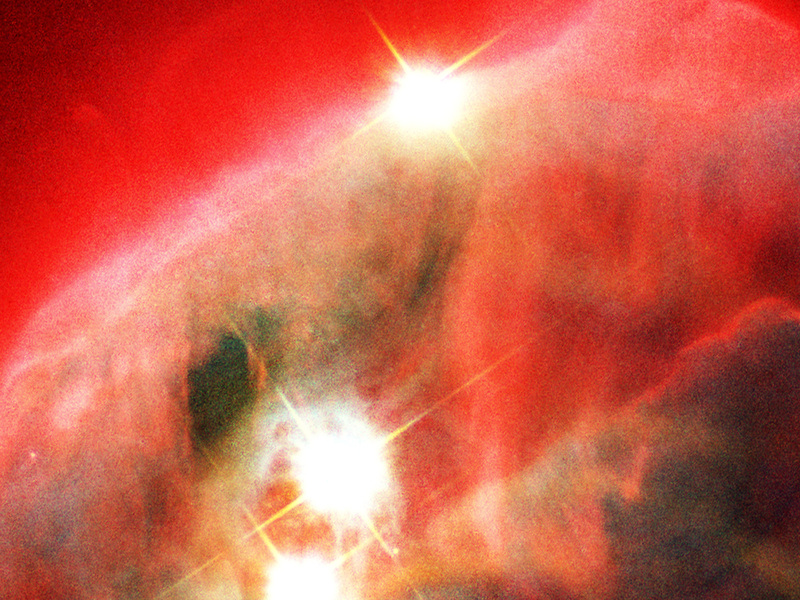 Astronomers believe that this area is creating fewer new stars and therefore less dust. The colliding system [yellow and blue regions] has a diameter of about 30 000 light-years, or about half the size of the Milky Way. The tail [faint blue material at left] extends for another 20 000 light-years. 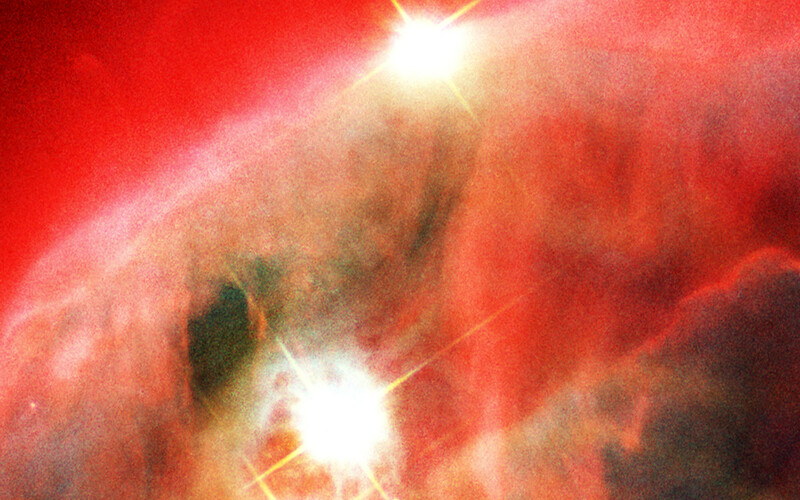 ACS captured the visible starlight of the colliding system's blue outer region. IRAS 19297-0406 may be similar to the so-called Hickson compact groups - clusters of at least four galaxies in a tight configuration that are isolated from other galaxies. The galaxies are so close together that they lose energy from the relentless pull of gravity. Eventually, they fall into each other and form one massive galaxy. The picture was taken through the V-band on the ACS wide-field camera; and the U-band on the ACS high-resolution camera. The images were taken on 13 and 14 May 2002. Position (Dec): 9° 26' 20.99"